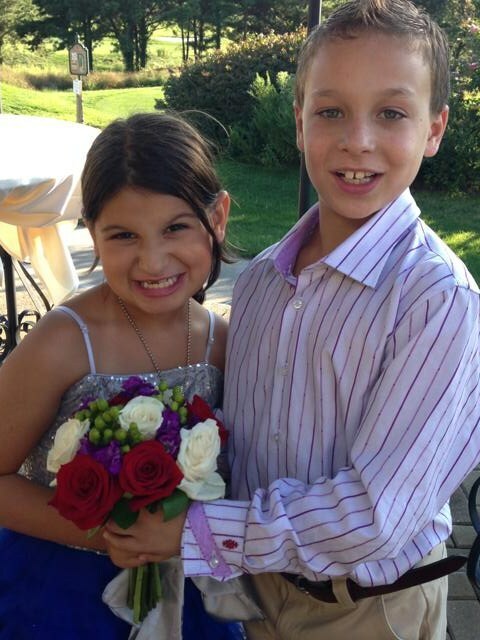 I think parents of young children enter into the experience with some awareness of the expenditures that lie ahead. There’s the monetary cost, obviously, and also the drain of intangibles: time, energy and peace. But what has been a surprise to me, at least, is the physical damage my kids inflict on me – and the resulting missed workouts at the gym. For example, a couple years ago I took my son to a University of Michigan alumni event, where he could meet the head coaches of the football, basketball and hockey programs. In order for my son to see the guests of honor, I had to lift him onto my shoulders, where he sat comfortably for the 30 minute program. 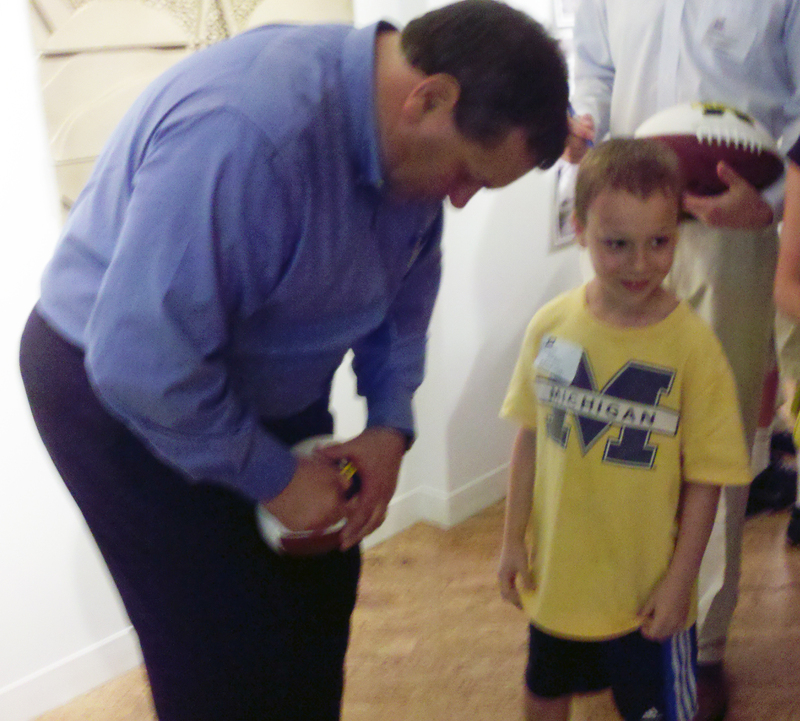 At the end of the event, my son got a football autographed by Brady Hoke. I left with a first degree shoulder separation that took several weeks to heal. I’ve also been trying to teach my son how to golf. At the end of one trip to the driving range, I thought I’d show off by swinging at the last ball with as much force as possible. I succeeded not only in sending my ball into orbit, but also in tearing my right tricep so badly that it hurt for a month just to pull open a door. Of course, some injuries occur from simple overuse at the gym, and scheduled rest is indispensable for any fitness enthusiast. With kids though, there’s never really any down time. I’ve been away from the gym for about a week now, trying to get the bursitis in my left elbow to go away. However, my son needed me to set up his basketball hoop in the driveway. The process sent shooting pain through my elbow multiple times, probably resetting my healing to day one. So, I have advice for parents who also want to hit the gym with some regularity. First, make sure you’re lifting weights light enough to complete at least 10 reps per set. Anything heavier than that just makes you too fragile and injury-prone. With no margin for error, you’ll also need to stop doing gym activities that have caused you strains and sprains in the past. I love the tricep press machine, but giving my elbow time to heal is just too complicated. Finally, set some limits: I told my daughter that when she hits 60 lbs, there’s no more getting carried around on my shoulders. There was some foot stomping and hands on hips … yet another thing she can blame on her brother, I guess. This entry was posted on Tuesday, August 31st, 2010 at 9:57 am and is filed under Arms, Shoulders. You can follow any responses to this entry through the RSS 2.0 feed. Both comments and pings are currently closed.